HURRICANE — A driver suffering from a medical episode was sent to the hospital after crashing off the road Monday morning. Hurricane Police responded to the incident involving a red SUV on 100 North just east of where the road intersects with 1000 West at approximately 11 a.m. 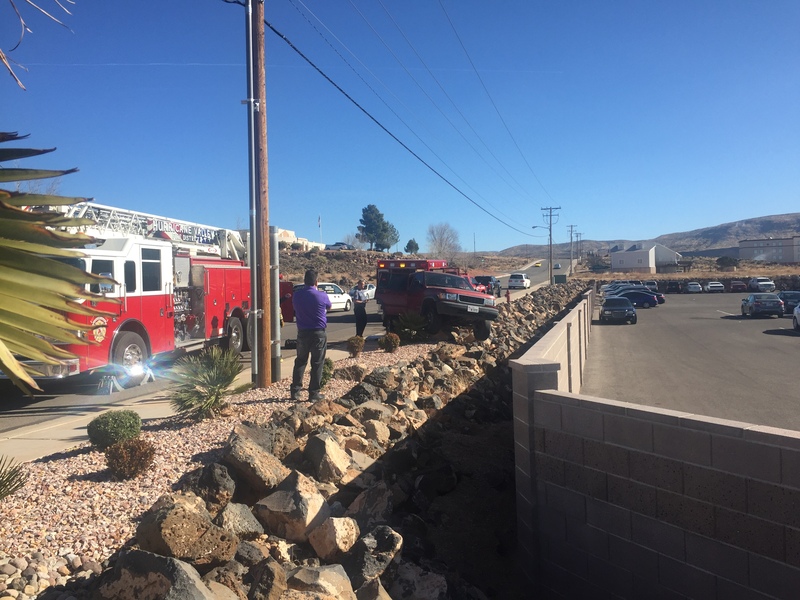 The driver, a 16-year-old boy, was eastbound on 100 North when the SUV left the roadway and crashed into a landscaping embankment, landing on top of large boulders and bushes. “The driver had some sort of medical problem,” Hurricane Police officer Ken Thompson said. Emergency crews from Hurricane Valley Fire and Rescue arrived at the scene to provide medical evaluation. No citation was issued to the driver, Thompson said. Read more: Dramatic Bluff Street crash raises the question: Does ‘I blacked out’ release driver from fault? Dramatic Bluff Street crash raises the question: Does 'I blacked out' release driver from fault? A “medical episode” should not get you out of being charged. Sorry, but it happens way to often here. A citation for what exactly? Damage to the boulder and bush that he landed on top of? It doesn’t seem as though he caused any damage to any other vehicle. Are you advocating for the bush? No. Read my post again. It happens way too often (especially all of the senior drivers who have no business behind the wheel), and there are no repercussions. Oh, I read your post. And your follow up comment. I hope you never have a medical episode that leads to an accident. Medical issues, why are you driving? Look at the bottle of pills and see if it’s ok to drive..
OK, I don’t know if it is true, but according to the first calls that were put out to responders, he had suffered from a seizure. If, in fact this is true, you can’t help but feel sorry for him. But it doesn’t change the fact that he should not be driving if he suffers from seizures.